Head down to Hawthorn Arts Centre on Sunday 4 March for the Boroondara Village Festival, a free event that’s full of fun activities, demonstrations, live music and food trucks – even Peppa Pig will be there! 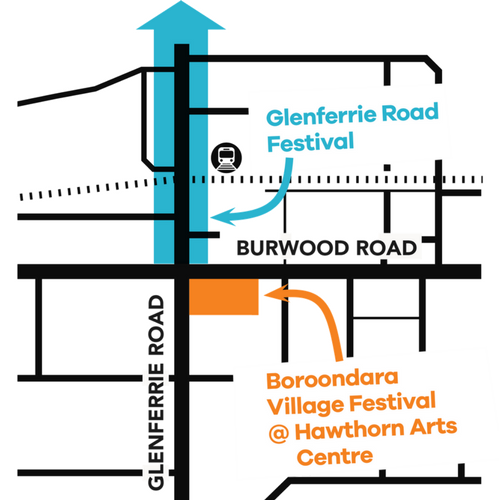 The Boroondara Village Festival celebrates the launch of the Boroondara Community Plan, a 10-year vision for our City’s future, and will coincide with and complement the Glenferrie Festival. Explore nine different festival zones featuring activities, performances and workshops for all ages. On the main stage, Peppa Pig will delight the young ones with a live performance, while in the pop-up park you can ask an arborist your tricky tree questions, and in the community hub you can help the local Men’s Shed group build a native bee hotel. Other attractions include live music, roaming performers, food trucks, pedal bike smoothies, tours of the historic Hawthorn Arts Centre, virtual reality experiences, craft activities for kids, face painting, workshops on decluttering and small space gardens and much much more. Celebrate everything that’s great about our community and have some fun in the process.